The Active is available in two derivatives - Standard and Linear, the latter achieving 60 M/min, truly impressive for a machine of this size. The maximum table size is 4100 x 1100 mm and capable of carrying a 5000kg load. 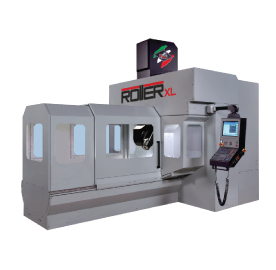 The cooled and temperature controlled 5 axis head makes the Active highly suitable for continuous machining of mould and die and aerospace components.